Opened in 2015, the Merlinhod Hotel (Xi'an Qujiang Giant Wild Goose Pagoda Conference & Exhibition Center) offers travelers a pleasant stay in Xi'an, whether for business or leisure purposes. Free in-room Wi-Fi and convenient access to the National Exhibition Center/TV Tower Area make this hotel a fantastic choice. Boasting a convenient location, the hotel is just 11km from Xi'an Railway Station and 43km from Xianyang International Airport. In addition, Huizhan Zhongxin Metro Station is just a short walk away. Famous attraction Shanxi History Museum is just a short taxi ride away. 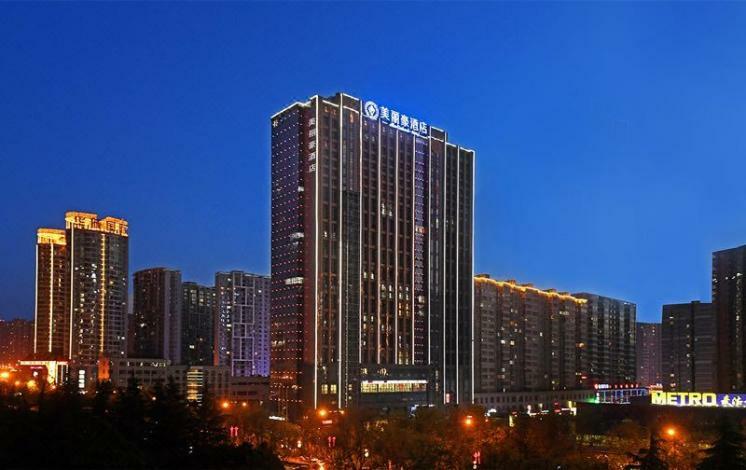 The hotel is located in Xi'an Xiaozhai commercial circle, adjacent to the TV Tower, Qujiang International Convention and Exhibition Center, Metro Line 2 and dense bus network across the hotel, close to the ring and ring of import and export, whether by car or bus traffic is very convenient.